To note: Parts one to seven of this series were published in April, 2018. Most people today are interested in “me.” Their favourite topic is ”me.” And, they can change almost any conversation so that, in time, it is focused on “me.” Everyone is interested in his or her own deal … not anyone else’s. It is apparent that few people care about the life and well being of others unless it directly effects them personally. They simply are not interested in the details of another person’s life unless there is a benefit to them personally because they took the time to listen to the story. Authentic mentoring, mentoring like Jesus did, involves selflessness. It says, “I’m going to give to you … put you first … let you learn from my life, my story, my victories, and my mistakes. And, I am expecting nothing in return.” In a sense a mentor is says, “I’ve paid the price to learn what I have learned. I’m going to give you the benefit of my experiences so that you can learn, grow, and mature and not have to pay the price that I paid.” This is what Jesus did for His disciples and even for each one of us. He paid the price and we benefited from it. Now, this whole idea flows up-stream in a down-stream world. In a world of “every person for themselves” this kind of selfless mentoring makes little sense to most people – people in the world and, obviously, in the Church as well. After all, if it made sense then more Christians would be discipling and mentoring others. But, don’t let that discourage you. Jump in and decide that you will disciple a next generation person and mentor them into maturity as a person and as a believer and follower of Jesus. What will modelling selflessness as a mentor and disciple-maker look like in our day and age? To answer that question we need to look at how Jesus functioned with his band of twelve and the ways He showed or modelled selflessness and servanthood. A good read through the four gospels would be a good idea about now – noting how Jesus discipled and mentored the twelve. A mentor needs to be selfless. And they need to have a drive to invest in the lives of those younger than they are. The “next generation.” Often this is called “pay it forward.” A serious God-call to mentoring calls the mentor to rise above selfish interests and towards the advancement of the Kingdom through disciple-making even when there is no visible return to them personally for the time and effort invested. True Selflessness. Jesus was the perfect example of a selfless person who invested in the lives of others mentoring the twelve disciples (apostles) for three years as He ministered publicly. 1> There is a willingness to invest time in others when there is no return on the investment for you personally, at least, nothing tangible. Mentoring is, in many ways, a one-way street … from mentor to mentoree. No payback. No quid pro quo. Just selfless giving. 2> There is a willingness to listen – listen deeply from the heart. And to listen with no personal agenda, with nothing to gain or lose. Listen with only one agenda – pointing those you are mentoring to Jesus, who is their true, dependable mentor. A mentor can listen objectively and without the pressure of trying to impress, to be smart, to fix the problem or the person (they are not broken), or always to be right. A mentor is a good listener and doesn’t need to be constantly talking about themselves. Because they know who they are and are secure in themselves they are able to listen intently. Insecure people, who don’t have a firm grasp on who they are, talk more than listen as they are out to impress others with their knowledge and successes. A good mentor listens, asks questions, and then tailors their answers – their teaching and sharing – to the issues being spoken of by the mentoree. Thus, the selfless mentor is a good listener, dispensing their wisdom to meet the needs of their mentorees, not their need to tell all that they know. 3> A mentor, after listening, asks lots of questions geared to what has just been shared. Jesus asked questions … lots of questions, and He listened. He didn’t just talk. On those few occasions when He did, He was intentional about it. It was almost like, “Okay fellows, get your pens and write this down”… and then He spoke the Sermon on the Mount. But many, if not most, of His parables came as answers to questions. Jesus tailored His message … His answer … to the needs of the asker. He didn’t just blabber on and on with what he knew. 4> There is a focus on one goal – a goal that does not benefit the mentor directly or personally. Jesus, the world’s greatest mentor, did a lot of His mentoring for “the cause.” The was totally about His Father’s business, demonstrating the nature of God and preparing His mentorees for the task of taking the story of God to the world and to future generations. 5> A mentor is very secure in who they are and what they have accomplished in life. Because they are secure and know who they are they want their mentorees to do bigger and greater things than they have ever managed to accomplish. And, when they do, the mentor can rejoice with them. Your motivation in mentoring others has to be to encourage and equip younger people to become more godly and healthy, mature disciples who will then “pass it forward” by discipling and mentoring others. We are looking at “mentoring on purpose” – the first of eleven elements in the way that Jesus mentored His original followers. Every follower of Jesus should be discipling and mentoring at least one other person and these eleven points we are looking at should form the basic foundation for everything we do when mentoring others. We want those we mentor to personally know God at a deeper level. To have a clear picture of God. Who He is. How God looks at them as adopted family members. And how they view God as the perfect father who loves them unconditionally and immeasurably. We want them to embrace Scripture in a new and different way. They will commit specific verses to memory by topic so they can call the verses up and apply them to real-world situations. And, we want them to appreciate the entire Bible and to see how it produces answers to the questions of life. We want them to understand spiritual warfare – what it is, how it is played out in the 21st Century, and how prayer can affect what is going on in the invisible realm. We want them to love the Church and commit to it, as it is unquestionably God’s chosen vehicle to bring change into the life of others and is the “Bride of Christ” for which He is returning one day. We want them to have God’s perspective on money and possessions. We want them to know how to make good and wise decisions, building those decisions on God’s advice and wisdom and on a good understanding of the Christian faith as found in the pages of Scripture. We want them to learn to trust God in every aspect of their lives … to pray, seek counsel, make wise decisions, and move forward, trusting God for all the outcomes. We want them to understand God’s perspective on marriage and how to live out their role. We want them to fulfill and enjoy their role as godly parents. We want them to accept their responsibility to be intentional about influencing the people in their sphere of influence to move one step closer to Christ … to be intentional disciple makers. For all this to happen within a mentoring relationship God has to move in many different ways. So, He is intimately involved in this process: loving, challenging, affirming, stretching, teaching, leading, guiding, imparting wisdom and bringing revelation. All the things a perfect parent would do as they raise their children. This mentoring process that is embraced daily and done “on purpose” works because it starts with the inner person and their relationship with his or her heavenly Father. With clarity in that relationship, focus moves to the way the inner person thinks, acts, and then relates first with themselves, then with their spouse, children, and the rest of their relationships in the world. a brilliant decision. Just do the math: twelve disciples multiplying themselves over and over, and the number of people getting the message is overwhelming. There was no more effective way to get an important message out in the first century with no internet, TV, or direct marketing mail. What is really neat is that today, even with al the technology, individual influence, word of mouth, multiplication is still the most powerful way to communicate a message. Companies spend billions today to create brands, viral marketing, and buzz, all for the purpose of spreading their message quickly and effectively to millions of people. And the message that Jesus has in unique. It is not about theology or a doctrine as much as it is about a man. His origin, His life, His ministry, His death, His resurrection, and His purpose for the world. In the first-century world there was no more powerful communications vehicle than the firsthand account of an eyewitness who saw something. That was the first step in God’s plan to reveal the message of Jesus: to have Him “live out loud” in front of a small group of people, His disciples, and thus position them to describe firsthand what they heard and saw. Next time – second element of the way Jesu mentored – It is a selfless endeavour. It is not about you or me. Mentoring is not about coming to know something. Teaching to mentoring is the way that many leaders approach the whole idea of mentoring others or even mentoring one-on-one. This is not to deny that during the mentoring process those being mentored learn things. Of course they do. But this is not the prime purpose of mentoring nor is it the best overall approach. That is the purpose of education. Mentoring is also not about learning to do something. That would be training. Mentoring is about showing someone how to be someone. It is about becoming a committed learner (disciple) and follower of Jesus Christ because that is what the Christian faith is all about. Mentoring is walking with someone and helping them become more and more like Jesus. Helping them to integrate Jesus and their faith in Him into all aspects of their life and any ministry that the Holy Spirit gives them. The end result of mentoring should be a reproducing disciple who then goes out into all their world and makes more disciples. In this way the Christian faith continues to spread around the world and Jesus is lifted up and glorified by those who are called Christians. This was the way the early Church functioned. About 350 years after Christ, the Roman Emperor Julian ( AD 332-363) wanted to reinstitute faithfulness to the pagan religions of Rome but struggled because Christians were doing such good things for people, even strangers, that they rendered the Roman gods irrelevant. It would be amazing to render the pagan gods of the 21st Century irrelevant by having millions of Christ followers become so genuine in their faith and the outward expression of that faith that they changed the world with their kindness, mercy, and generosity as they mentored others to do the same. I believe that can happen. 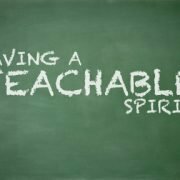 Not through church services on Sunday, televangelists, crusades, or even megachurches – but through mentoring. We must emulate what Jesus did – help men and women become learners and followers of Jesus Christ with a passion and commitment to pay it forward to others – going into their world and making disciples, mentoring others as they have been mentored. Modern-day church people love classes, seminars, Bible studies, conferences, and small groups. We show up, sit in circles or rows, listen, share, pray, eat, and leave. Usually there is some homework to do after each meeting. It’s neat. It’s predictable. It’s noninvasive. It’s easily merged into our wrinkle-free lives. The role of mentor is to help younger ones interpret what’s happening the right way, the Scriptural way … the God way. Through it all, the mentor is practicing their own faith and making themselves stronger believers and followers of Jesus as well. We are discussing the first of eleven elements of the way Jesus mentored His closest disciples. The first element of the way Jesus mentored was that it was on purpose. It was all about the Father and building (expanding) the Kingdom. Jesus was on a mission, and mentoring was the key strategy to fulfill His mission. Thus He did it on purpose. That was the defining moment. Scully changed his mind, quit one of the most lucrative, high-profile CEO positions in America, and moved to California to join the team of this small, upstart computer company with a vision. If your answer is yes then you are in good company because Jesus was out to change His world. He had a purpose – to bring sinners into the Kingdom and into relationship with the Living God – and He was seriously intentional about this purpose. So, the first of eleven elements of Jesus’ method of mentoring is that He mentored on purpose. It was not by accident but was very intentional. To understand His intentionality – we first need to understand His purpose. Jesus told us His purpose. Recorded by John, He said, “I have come that they might have life, and have it to the full”(John 10:10). This purpose motivated Jesus to do what He did as well as guided the way He did it. Let’s look for a few minutes at that statement from the Gospel of John. What does it mean to have “life” and by “have it in full”? Jesus gave us new life by rescuing us from spiritual death and the domain of darkness (Colossians 1:13). This new life is to be experienced now and also continues on when we die. Without this new life we would live without hope now regarding what happens beyond the grave. But because Jesus fulfilled His life purpose of making a way for us when there was no way – we know that we will die, but still live. Jesus did. He died a public, undeniable death and then miraculously and supernaturally came back to life, showing Himself to those He was mentoring and to hundreds of others as well. He fulfilled His purpose and then, as He was ascending into Heaven, He passed His purpose on to those who believed in Him – His disciples. And, that includes every believer today. So, we have received “life” as we are born again and have the very life and nature of God with us (John 1:4) and know for certain that when we die we will instantly be with Jesus and our Heavenly Father. But, to “have life to the full” or, as another version states, “have life and have it more abundantly” we must join Jesus in the task that He left for us and do it the way He did it. You will hear His answer – He wants you to go into your neighbourhood and community and touch lives for Him. As you do this He will draw certain people to your attention. These are the ones He wants you to focus on and build relationally with. And, as a result of building relationally, you will then have opportunity to join them on their journey of faith and begin to disciple and mentor them, helping them to take the next step in that journey. If they are not yet born again you will help them to “see Jesus” (John 12:21) and if they are saved then you will encourage and enable them to move forward in their walk with the Lord. In this way you will be carrying on the purpose for which Jesus came and the task or mandate that He then gave to His people, the Church, the “go into all the world and make disciples.” And, you will be fulfilling The Great Commission the way Jesus showed us it was to be accomplished – by discipling and mentoring. It is on purpose. It is all about the Father and building the Kingdom. Jesus was on a mission, and mentoring was the key strategy to fulfill that mission. Mentoring others either individually or as a group will only be successful if it is done from the overflow of gratitude from a grateful heart. Many Christians will hear a sermon or read a book and be motivated by the desire to “be good” to do something good. Others will feel guilty for their past lives, saying, “You know, I owe God so much, I want to pay Him back.” Still others may be motivated by pride. It is kind of a rush to have a group of people say that they want to hang out with you just to learn from you. But, the only consistent, long-term motivation for the Christian to be selfless and to serve and mentor others is gratitude for what God has done for them. This deep sense of gratitude stems from three sources. A> The person doing the mentoring has experienced a dramatic life changebecause of their encounter with Jesus and their salvation experience. They have experienced a 180 degree turn around in their life and, out of gratitude for what God has done, want to tell others and help them to grow in their relationship with God. Their motivation is rooted in the fact that God forgave them totally and accepted them just as they are regardless of how deep they were in sin. B> A second group will base their gratitude on some event or crisis in their life, where God intervened and saved them or their loved ones from a catastrophe. Their motivation is pure. They are not trying to pay God back; they are just deeply grateful for His mercy and kindness. Often they sensed that God helped them and preserved their life for a specific reason. And, this sense of being alive for some Kingdom purpose provides a lasting source of motivation for mentoring others. C> The third group of highly motivated mentorshave not has a significant near-death experience, nor have they been rescued from a life of deep, dark sin. They justseem to grasp the significance of the cross and the love that God has for them. Responding to God’s loving call on their lives, they love, they serve, they give … they just seem to get the idea of mentoring somehow. These people make great mentors because they have known God for a long time and have faithfully followed Him on a daily basis as they experienced the various aspects of real life. So, mentoring must arise out of a grateful heart. Too often people simply live, take up space, breath air, and then die. Their existence upon the earth has not changed anything or any one. They don’t have a living legacy. Gone and soon forgotten. Such a total waste of life. Others strive to make money, and then donate large sums so that they can having a building or charitable foundation named after them. Good but not really the way God has set out for us to leave a living legacy after we are dead and gone. Those who mentor others have already looked at these questions and have found a way to leave a living legacy. Simply mentor others … imparting into them who you are and what you know. Because they helped younger Christians and even non-Christians to take the next step in their journey towards or with Jesus they are developing a living legacy that will remain long after they have departed this life. So, let God use you to help others to move forward in their relationship with Jesus. Remember, “iron sharpens iron” (Proverbs 27:17). Am I more than just another “piece of the machine”? Did God put me here just to go to church and then die and go to heaven? As you walk with Jesus look for others who are not as far along in the journey and reach back and give them a helping hand. Mentor them – pouring your life and your wealth of wisdom gained from life lived with Jesus into them. Stop thinking of retirement at 55 or whatever age you have set – and start thinking of investing your life in others regardless of your current age. Don’t waste your life. Do what Jesus did. Pick some less experienced people and mentor them. 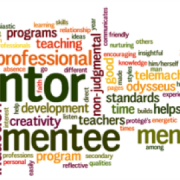 Before we look at the elements of mentoring as seen in the life and ministry of Jesus and His relationship with His original twelve disciples (listed and briefly explained in the previous blog in this series); let’s look at six reasons we should all, as dedicated followers of Jesus, be involved in both being mentored and mentoring others. 1> Jesus did it, and He told us to do it as well. Jesus is often seen as many different things by people of a variety of religions. However, there is no denying that in essence and in action He was a mentor. His mentorees became totally committed to His mission, worked together as an effective team, and through their efforts, the Christian faith (it is not a religion) has spread to the four corners of the world. His final instruction to us before He returned to His place in Heaven with the Father was what? “Go and make disciples” (Matthew 28:19). He is telling us, “Go and do what I did. Go and find some people who are a little farther behind you on the path, and help them take their next steps, just as I did with My disciples.” His call is universal. Its transgender. It certainly transcends vocations since none of Jesus’ mentorees were church people (nor was He). In the world today, people spend the majority of their time and money making memories for themselves and their loved ones. And, as we do we draw farther and father away from having meaning in our lives. Pursuing meaning in our lives does not exclude having great memories, but meaning matters in a deeper and a more long-lasting way. Meaning says that the activity you are involved with is really important. Meaning says that it matters at a deep level. Meaning says the consequences of the activity will affect the people involved for a long time. Meaning says that there is a multiplier effect, that future generations of people will benefit from the thing that has meaning. It is much more than taking and organizing pictures that you took – pictures of your memories that die with you. And then the pictures are thrown out by others because to them they are meaningless as they did not have that experience nor is it a memory that they share. Mentoring a group of young people for a season gives life meaning and has long-term meaning and effect. As you go through the process of reviewing what you have learned. So as to share it, you will rediscover things you have overlooked or forgotten … skills that are so much a part of your unconscious competence yet have been sitting on the shelf for years. As you share the principles that you have learned over the years from classes, books, and life experiences, you end up learning them all over agin yourself and at a much deeper level. And, as you share with those you are mentoring you will find that they too have wisdom and understanding that they can share with you. They have knowledge gained from what they are learning and experiences that they have had. And, as they relate to you, they share these truths and insights with you and you grow as well. It is a symbiotic process that breathes new life into the mentor as you share what you know and get your knowledge base expanded at the same time.